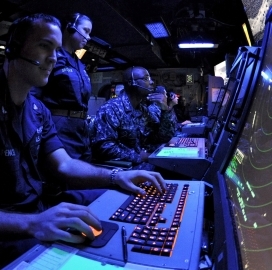 The U.S. Navy has selected Booz Allen Hamilton (NYSE: BAH), Cydecor and Whitney, Bradley and Brown to help the military service manage the warfighting, manpower and business transformation initiatives under a potential $69.9M indefinite-delivery/indefinite-quantity contract. All three contractors will primarily support the Navy’s Deputy Chief of Naval Operations for Information Dominance, the Defense Department said Friday. The multiple-award IDIQ contains a 60-month ordering period that will commence in March of next year and will continue through February 2024. Ninety percent of work will take place at government facilities in Arlington, Va, and the remaining 10 percent will occur at contractor locations. The Navy received 10 offers for the contract via a competitive procurement on FedBizOpps and will initially provide $10K to the three winners.